A utility pole in New Orleans lists to one side. 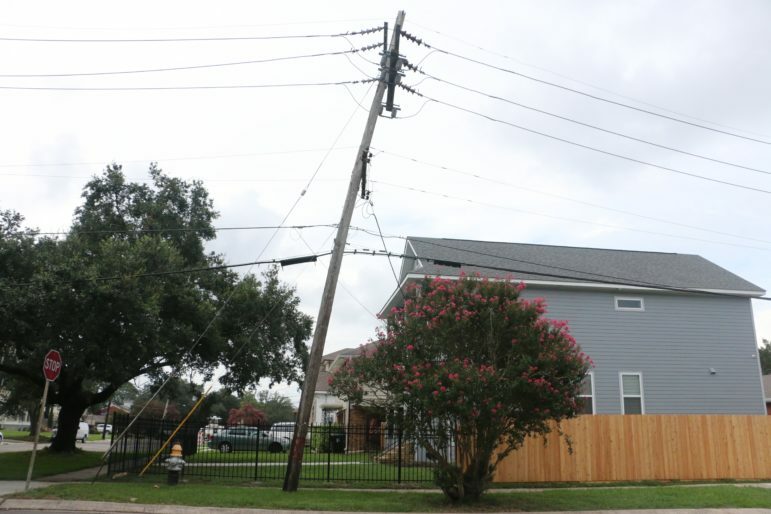 How prepared is New Orleans for stronger storms and extreme temperatures? Climate change is bringing more extreme temperatures. The last decade was the warmest on record. Scientists say that pattern will continue. In Louisiana, temperatures could increase by 10 degrees by the end of the century. Heat stresses human health and the electric grid. As part of our climate change and infrastructure series, WWNO’s Tegan Wendland went to find out how prepared New Orleans is for the heat. Tegan Wendland is WWNO's Interim News Director. She also reports on the coast. She has a background in investigative news reporting and an M.S. in Life Sciences Communication from the University of Wisconsin-Madison. She has worked as a reporter for Wisconsin Public Radio, The Wisconsin Center for Investigative Journalism, WRKF-FM in Baton Rouge and WVIK-FM in Rock Island, Illinois. Her stories have aired nationally on All Things Considered, Morning Edition and Marketplace. While the study won’t end until December, the Corps already believes its tentative selection for replacing the lock is the best in a narrow range of options for easing inland waterborne traffic. But some New Orleans residents say they’re outraged that the Corps is still considering the project, which has been planned for decades.